Linux users when asked what antivirus they use. That's about right, Moem. That's my reaction, anyway. Found another nice one... this actually happened to me! 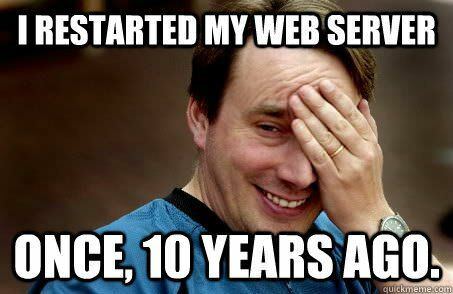 Me too, and nearly every time I have installed Linux for a friend that's what I get. 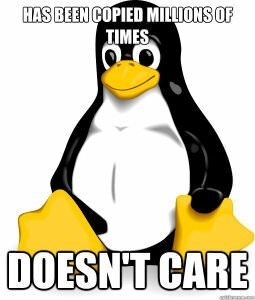 It's been a bit over two years, I believe, since I installed Linux for one of my brothers and one of my sisters. It's been a couple of months since I last asked them how much they use Windows, but the last time I asked, the answer was never. Literally never, as in once I tried Linux, I never booted into Windows again. So, the last time Windows was run on those computers was the day I did the Linux install.